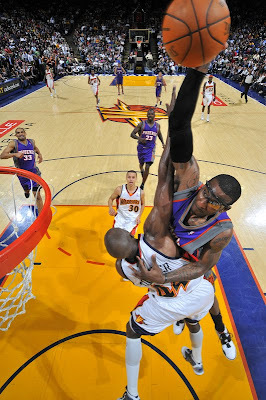 Just put together the Amare Stoudemire Dunk Mix I promised to do for the 2009-2010 season. Features 40 dunks from Amare and some not safe for work audio. Please link to me if you post the vid. Nash is gonna cop about 95% of this mix for his dimes mix.